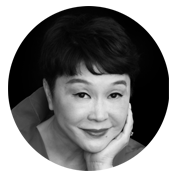 Founder and CEO of prestige Traditional Chinese Medicine (TCM) brand WEI, Wei Young Brian, was raised in the heartland of China, where she developed a love and appreciation for herbal medicine. What started as a fascination with picking herbs and discovering their many uses ultimately became the inspiration for the development of several Beauty lines including WEI, WEI EAST, and WEI TO GO. Today, WEI is synonymous with luxury skincare and recognized for groundbreaking products that invoke the rich traditions of Chinese culture and medicine. Brian’s entrance into the beauty industry was a gradual process. After relocating to the United States to complete a Master’s Degree in Computer Science, Brian began her career as a Computer Programmer. It was following the death of her father; however, that left Brian with a strong yearning to return to China and work with her family. Fascinated with US beauty giants like Mary Kay and Avon and their direct-to-consumer sales channels, Brian decided to branch into beauty and soon after realized it was her true passion. Working with her mother and sisters, Brian took her love for Chinese herbs and practices and developed her first line of products. In 1998 Brian and her husband moved back to the US in pursuit of medical expertise for their firstborn son, Alex, later diagnosed with Autism. With a wealth of knowledge on the subject of Traditional Chinese Medicine and ancient herbal remedies, Brian relied heavily on TCM’s healing powers to aid in her son’s treatment. Simultaneously, at the encouragement of family and friends, Brian set out to launch a beauty brand in the US, incorporating new practices and ideas gained while supporting her son. This new approach allowed Brian to start looking at her brand with a more spiritual lens. It also heightened the importance of creating products that promote beauty and balance from the inside out –WEI was born. Today, Wei Brian remains focused on her holistic approach to beauty – traveling throughout China in search of the best herbs and centuries-old Eastern remedies and researching modern, high-tech delivery systems. She has opened a state-of-the art manufacturing facility in the Wuhan Province of China to develop proprietary formulas. WEI portfolio highlights five distinctive skincare categories – each addressing different skin types, tones and concerns. Blue packaging designates hydrating products, peach represents products to brighten, detoxifying products are packaged in green, yellow helps with anti-aging, and gold packaging of Royal Ming denotes products of all-in-one treatment for balanced and beautiful skin. WEI is acclaimed for individually packaged Pod Masks such as the Golden Root Purifying Mud Mask, which has developed a cult following among consumers, Symptom-Focused Sheet Masks that are staples in the kits of professional makeup artists, and the Sprout Tube Masks that captures the precise moment of life when a plant rises from its seed and presses the essential enzymes, nutrients and vitamins when they are most dynamic and concentrated.